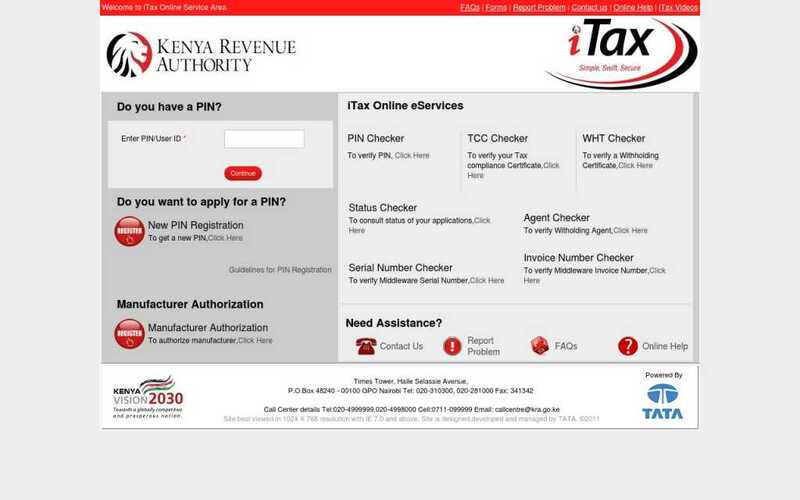 Filling taxes in Kenya is a mandatory requirement to all citizens in possession of Kra Pin number. It usually does not matter whether one is working or not. Filling Kra nil returns is only applicable to college students and unemployed individuals. For instance, there is withholding tax returns, Rental income returns, employment income returns as well as Nil returns. 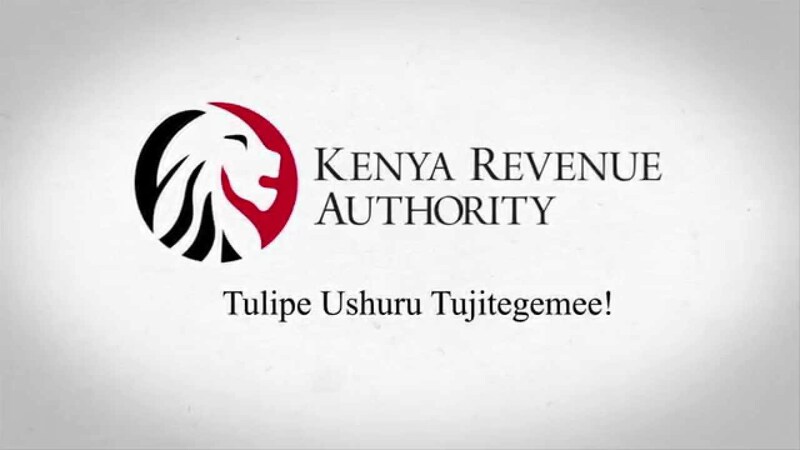 The tax man’s deadline is quickly approaching and in this article, we are going to learn how to file Kra nil returns. The last page looks like one above, key in your pin’s no, your wife’s pin no and return period. A prompt will come up if successful in form of e acknowledgment receipt. 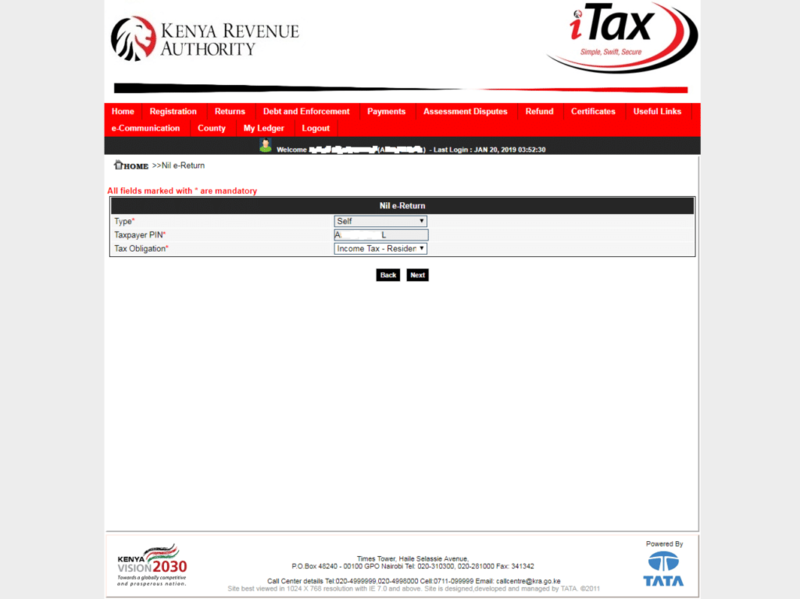 While filling nil returns please exercise patience in case the website takes long to respond and load. However, this could be avoided by deciding to file your returns way early before the due dates. 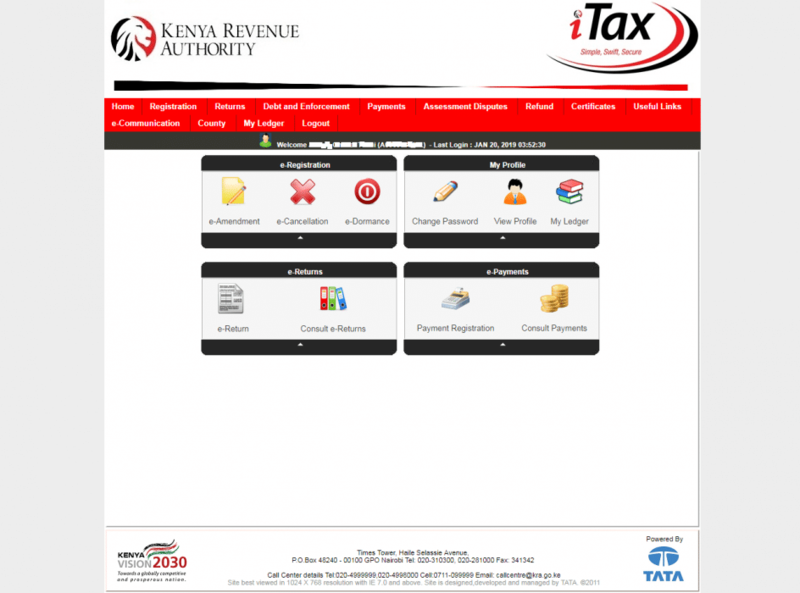 The due dates to file returns this year is 30th June 2019. 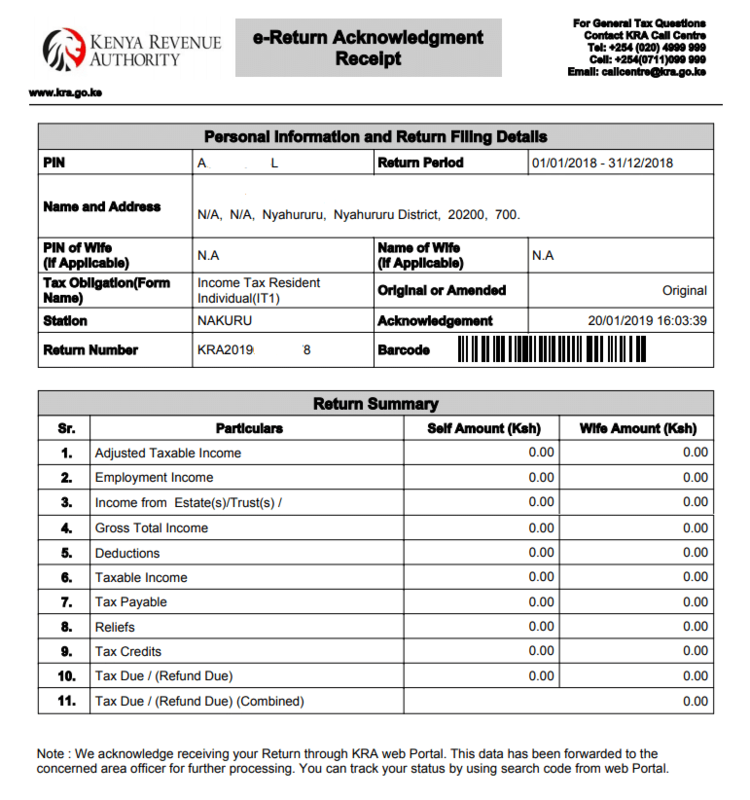 Nil returns are basically filled by University students or other people that are not employed. 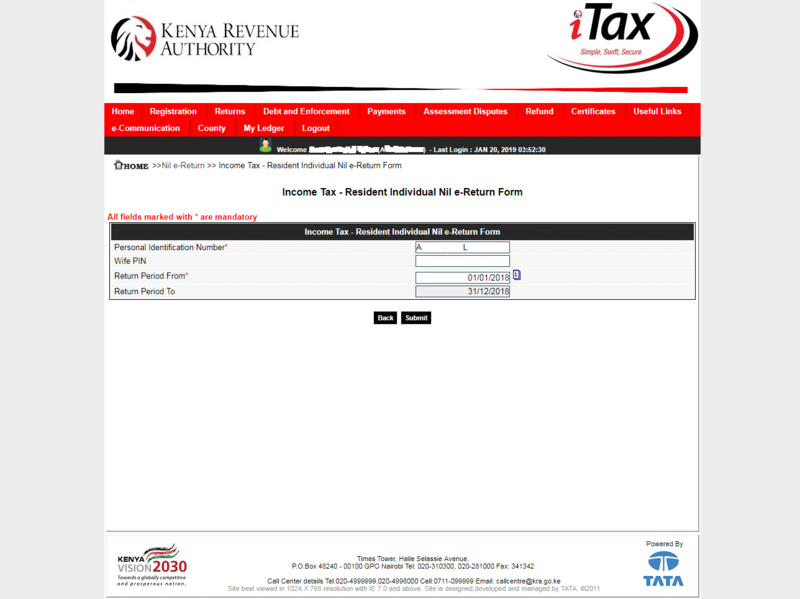 Failure to file these returns attracts a penalty fee of Kes 20,000. The penalty amount was amended in the year 2015 from Kes 10,000 to the amount mentioned above and effected in 2017. As at June 2017, only 24 million employees and business people had filed in their taxes. This translated to total collected money amounting to 1.365 trillion which was less than the targeted amount. As a result of this, last year, the commissioner of domestic taxes announced suspending the processing of nil returns as he claimed many people had cheated.